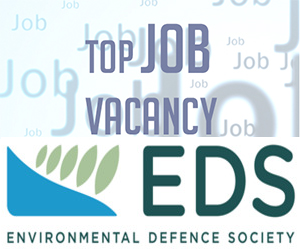 The Environmental Defence Society (EDS) is a leading not-for-profit environmental organisation committed to improving environmental outcomes in New Zealand. We are currently engaged in an exciting and ambitious range of policy work targeting law reform initiatives. This includes major projects to review New Zealand’s entire resource management system, including in the marine domain, and to investigate new landscape protection models. We are seeking to employ an Environmental Policy Researcher to assist with this work, based in our Auckland office. Candidates should have relevant policy experience and/or degrees relevant to resource management law, policy and science. Recent graduates with high grades will also be considered. We are looking for someone with sharp intellect, proven research analysis and writing skills, high self-motivation and the ability to work effectively in a small team. The position will involve some travel. The contract will initially be for a 12 month period with extensions subject to funding availability. Applications close: 5 pm Friday 30 November 2018.